Badges, guns, cars, and cuffs — these are the images that most of us associate with the term criminology. When people think about careers in criminology, their thoughts immediately turn to law enforcement and crime scenes. The truth is that criminology is far more encompassing and much harder to pin to any one subject or industry. You can find a criminological component in nearly every degree program or career specialty. Criminology is a subset of sociology. It's a scientific discipline that focuses on all aspects of crime at all levels of society. It includes the causes of crime as well as its consequences. It also attempts to measure the effectiveness of society's responses to crime and to propose ways to both prevent and address criminal behavior. Technically, the term criminology specifically refers to the actual study of crime performed by social scientists known as criminologists. Most criminologists are social scientists or sociologists who have narrowed their focus to criminal issues and behaviors. Criminologists and other social science professionals have helped develop policies and procedures for communities and police departments across the country and around the world. They've instituted concepts such as community-oriented policing, predictive policing, and environmental criminology. Criminology positions are available from the federal government all the way down to local governments and in the private sector as well. Criminologists in the private sector often interact with and work with various law enforcement agencies. A criminologist's daily tasks often include the collection and examination of evidence. She might attend autopsies or actually visit crime scenes to analyze and gather evidence. But a criminologist might also explore the psychological causes of crime from investigation through conviction and even rehabilitation. Some daily duties are more humdrum, as can be the case with any job. Criminologists organize data and evidence, make statistical analyses, and file reports. Careers in criminology or criminal justice might or might not require a college education or past work experience, depending on the field and the specific job. In some cases, it's possible to find rewarding and lucrative jobs in criminology or criminal justice that don't require a degree. But most criminologists have at least one academic degree, whether an associate degree, a bachelor's degree, or a doctorate. It's important to choose the right major for your criminology career if you are going to pursue a degree. Your own personal aspirations will go a long way in helping you decide what degree you should earn. For example, a degree in criminology might be interchangeable with a degree in criminal justice for someone who wants to become a police officer, but a person seeking employment in the academic or research realm might be better off studying criminology itself. Potential courses at the undergraduate level include those associated with law, psychology, sociology, government, and business. Some jobs within criminology require advanced degrees. Criminologists and forensic scientists must hold at least a master's degree in criminology or criminal justice if they want to advance in their careers and earn credibility. Likewise, those interested in psychological careers will most likely need to pursue a Ph.D. to find significant success. Many subsets exist within the field of criminology, so the necessary skills for each can vary widely. But communication skills are paramount — the ability to clearly express theories, findings, and solutions verbally and in writing. Public speaking skills can also be helpful. Computer skills are essential in this day and age, as well as the ability to navigate the internet. Criminology careers are often associated with jobs in the criminal justice arena as well. Criminal justice is the practical application of criminology in society. The three main components of the criminal justice system are law enforcement, courts, and corrections or punishment. Some of the career options within this area include police officers, detectives, and criminal investigators. They're on the streets and at crime scenes. Corrections officers work in prisons and institutions, while probation and community control officers typically deal with postconviction and postrelease criminals and their communities. A police dispatcher guides calls for help and facilitates responses. These positions can reach to the federal level, such as FBI and Secret Service special agents, U.S. Border Patrol agents, U.S. Immigration and Customs Enforcement agents, Naval Criminal Investigation Services agents, Drug Enforcement Administration agents, and U.S. Marshals. The term forensics means "of or having to do with the law." Forensic science simply refers to the application of scientific principles to legal concepts and questions. Forensics has become almost synonymous with crime scene investigation and evidentiary analysis. Careers available in forensic science include DNA specialists and forensic scientists who collect and analyze physical evidence. Ballistics experts deal with firearms and ammunition evidence. Bloodstain pattern analysts can help determine the types of weapons that are used in crimes as well as points and angles of attack based on blood spray. Forensic anthropologists focus on the study of bones. Trace evidence experts and analysts deal with fibers and other manmade substances, including paint chips. Forensic entomologists determine how long a body has been dead. Toxicologists work with tissue samples and body fluids, while serologists focus solely on body fluids. 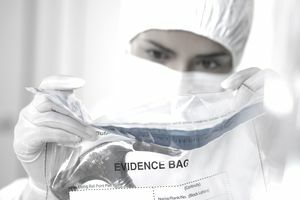 Careers in forensic science generally require a degree in one of the natural sciences, such as biology or physics, but forensics can be applied to almost any area or specialties, such as accounting, engineering, photography, art, animation, or computer science. Some criminologists move into teaching, either in the academic sphere or in a governmental role. Other more scholarly pursuits can include policy review and research. Some criminologists focus on profiling, creating likely psychological "pictures" of criminals to help investigators zero in on likely suspects and potentially rule out others. No matter what your interests or expertise and regardless of your work experience, level of education, or physical ability, opportunities for careers in criminology and criminal justice are available for nearly every type of person — and you can narrow your sphere down to the type of work that most interests you. Criminologists often specialize such as in homicides or even white-collar and cybercrimes.